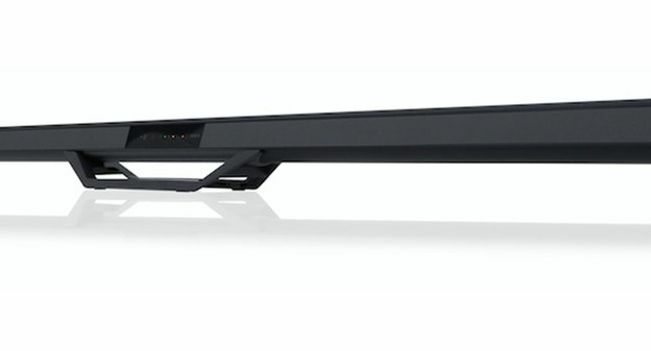 Step top box maker Humax has entered the audio market with what it claims is the world's thinnest soundbar. Humax's STA–1200 BSW soundbar is just 20mm thick, but packs in 80W of sound from four speakers along its length. Adding to that is an external subwoofer that can pump out 100W of bass. The soundbar also come with a wall bracket and a stand – enabling audio aficionados to decide whether to mount it to their wall or leave it free standing in front of the TV. According to Humax, the company wanted to bring its experience in building set top boxes into the audio market. If you're not familair with the brand, Humax is best known for building Freesat and Freeview set top boxes. “Humax has a proven capability in delivering feature-rich digital home products and we have applied that technical expertise to the audio market, with a high performance product that delivers powerful sound into the living room for a highly competitive price,” commented Humax commercial director Graham North. The Humax STA–1200 BSW soundbar launches on May 1st. It will be priced at £200.